Born Michelangelo Merisi on Sept. 28, 1573, in Caravaggio, Italy, he would assume the name of his birthplace. 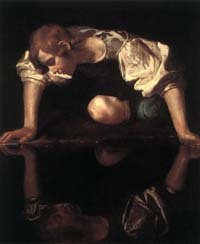 By 1592, Caravaggio was notorious because of his controversial painting methods. Certain of his works were made only to be rejected by patrons on the grounds of indecorum or theological incorrectness. He aimed to make paintings that depicted the truth and he was critically condemned for the naturalism that became the Baroque style throughout Europe. 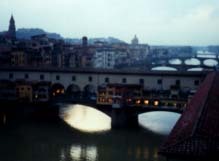 Florence is every bit the Renaissance gem, shaped by the Medici dynasty. ArtSavant visited the Uffizi Gallery and the Pitti Palace in March; here are a few interesting things we found out. Cosimo I de' Medici decided to build the Uffizi Palace to house the administrative offices (or "uffizi") of the Government, because Palazzo Vecchio had become too small to hold them all. 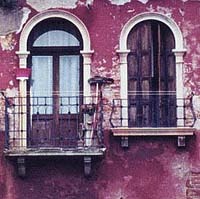 It was his son, Francesco I, who enclosed the second floor Gallery with huge windows and arranged part of the grand-ducal collection here. His brother and heir, Ferdinando I, added many splendid sculptures and paintings. 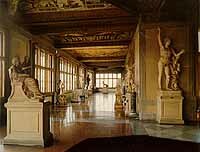 The Uffizi Gallery was the first museum ever to be opened to the public: beginning is 1591, the Grand Duke granted permission to visit it on request. In 1737, the last Medici Grand Duke died. His sister Anna Maria Ludovica managed to prevent the artistic patrimony from being scattered with the famous "Family Pact" (1737, and reconfirmed in her will of 1743), which, instead of bequeathing everything to the successors of the House of Hapsburg-Lorraines, left the collections to the city of Florence itself "to be an ornament to the Government, useful to the public and to attract the curiosity of foreigners"
The Uffizi Gallery is the oldest museum in the world. Cosimo I united both branches of the Medici family under his rule. Cosimo's wife, Duchess Eleonora, was a fabulously wealthy heiress. She bought the palace from Buonaccorso Pitti in 1550, with plans to turn it into the new home of the Medici family. The enormous Pitti Palace and its grand Boboli Gardens contain eight different collections. Foremost is the Palatine Gallery (25 rooms), the royal family's "private" picture gallery. 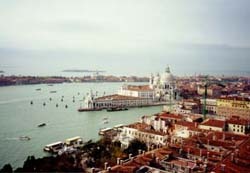 There is the Gallery of Modern Art (30 rooms), containing a collection of 2000 works dating from the 18th-19th century, the nucleus of which is based on the Macchiaioli school (Italian Impressionists); the Silver Museum, exhibiting the priceless vases that once belonged to Lorenzo the Magnificent as well as numerous pieces created by Florentine and German goldsmiths. There is also the Costume Gallery, founded in recent years; the Porcelain Museum, with Meissen, Doccia, Vincennes and Sevres tableware; the Coach Museum; and the paintings in the Contini-Bonacossi Collection. It is the largest museum complex in Florence.